Today’s fields of business and finance are fast paced, driven by technology, highly complex, and above all, global. More than ever, the world needs leaders in business and finance who bring as much integrity and character to the table as they do knowledge and acumen. Finance is among the degrees in high demand and offers a wide variety of diverse career options including wealth management, financial planning, corporate finance, financial analysis, banking, real estate, and insurance. Finance at Carroll College is a diverse area of study that allows students to explore many finance topics while preparing for a variety of career opportunities. Students will learn personal finance, managerial finance, investment techniques, and banking functions. Students are also exposed to other business disciplines in their coursework which further broadens their understanding of the business environment. Faculty with financial industry experience are continually engaged in professional development, ensuring that current and relevant information is included in the classroom. Local business leaders support Carroll College by providing classroom projects, internship opportunities, and guest lectures. • Understand and explain important issues encountered in economic entities with particular emphasis on ethical and global implications. Finance majors at Carroll College are encouraged to personalize their education by combining a major in finance with majors or minors in accounting, business administration, and other disciplines. Students may also choose to focus on developing their own entrpreneurial abilities through the Entrepreneur in Residence program or improve their global awareness through study abroad opportunities. 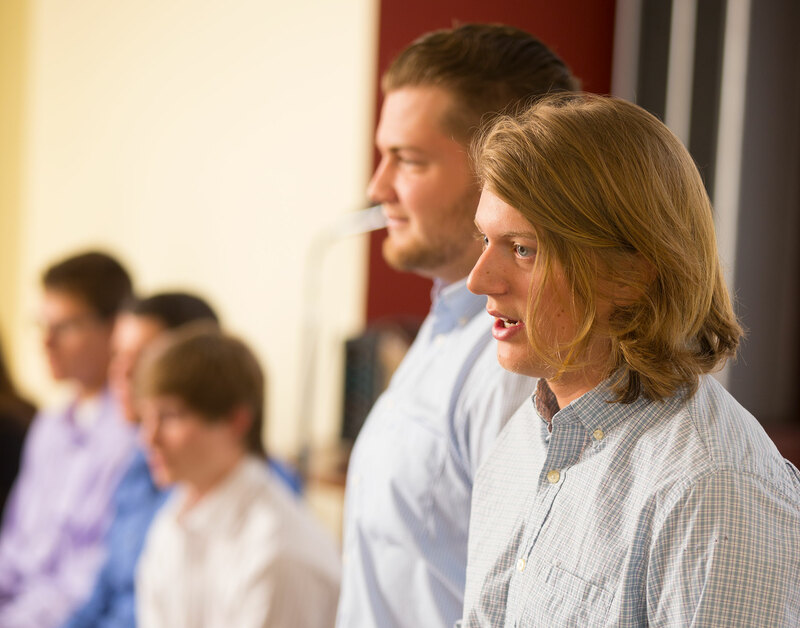 Students who complete the finance major at Carroll College have acquired the skills to perform complex financial analyses and engage in quantitative decision-making while considering qualitative and ethical implications. Finance majors may enter the workplace upon graduation or enroll in graduate school for further specialization. The Carroll College Career Center is available to assist students with securing internships, developing resume writing and interviewing skills, and researching employers. Business Department students engage in team activities while analyzing real-world problems. Past classes have competed in the DA Davidson investment challenge and CFA research competition. Students in Sigma Beta Delta lend to entrepreneurs in emerging economies through the Kiva microlending project. Enactus students use the power of entrepreneurial action to transform lives and shape a better, more sustainable world.